Brett Eldredge has been extremely busy since the release of his sophomore album, Illiniois, in 2015. The “Something I’m Good At” singer has racked up seven consecutive songs that hit the top of the charts. So, it’s no surprise that Brett took a little break and headed out on a much-deserved European vacation. 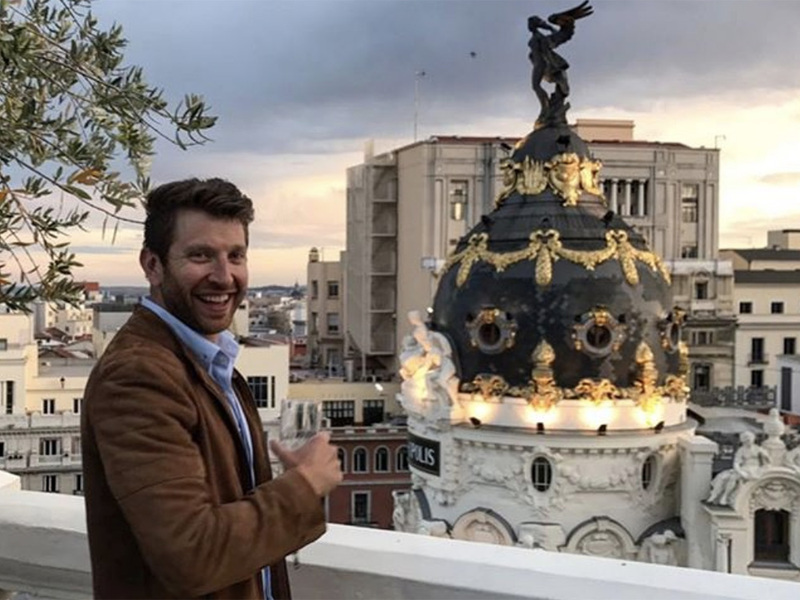 Brett then went on to share pictures from Barcelona, Málaga and Madrid, Spain where he went for a swim, visited castles and celebrated 1 million followers on Instagram with a glass of Champagne. We’re sure hoping Brett’s vacation didn’t turn out to be anything like the Griswold’s in National Lampoon’s European Vacation. Check out the photos from Brett’s well deserved vacation. This church will absolutely blow your mind…side note…what do you think that random guy is listening to? I am king of this castle and I will rule this land with laughter and ridiculous dance moves…will you join me? A MILLI, A MILLI, A MILLION INSTA FOLLOWERS…I love ya, let's celebrate! Saturday night in Madrid?! Lets goooooooo! What ya doin tonight??? ?